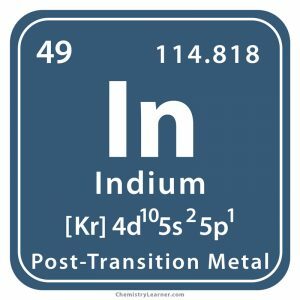 Indium (pronounced as IN-dee-eem) is a soft metal that does not react with water or air under normal atmospheric conditions, but dissolves in acids. Represented by the chemical symbol In, it belongs to the boron family. 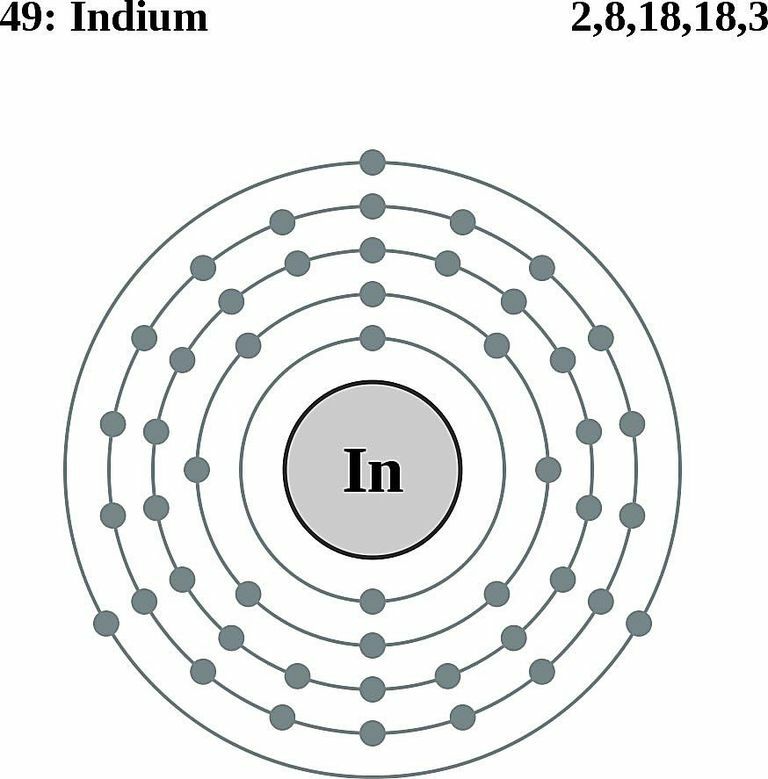 Out of its 38 isotopes, In-113 and In-115 are naturally occurring where the latter has a half-life of 4.41 x 1014 years. A rare element in the earth, In is found associated with iron, copper, lead ores and zinc minerals. 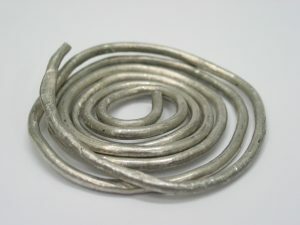 Commercially, it is obtained as a by-product of zinc refining . 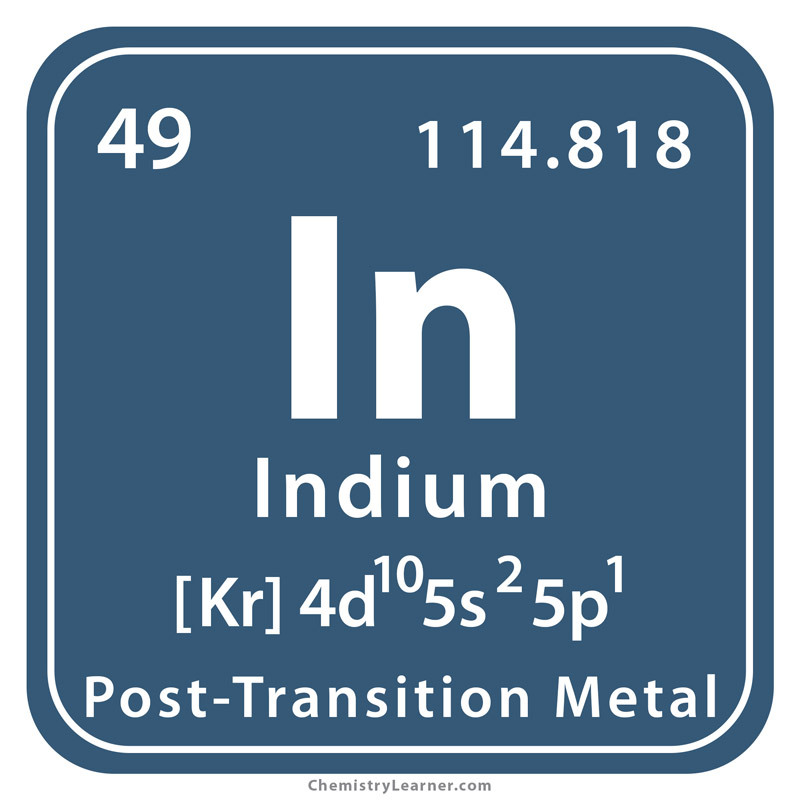 Origin of its Name: The name of the element is derived from the Latin word ‘indicum’ that means indigo or violet . In 1863, Reich at the Freiberg School of Mines in Germany was carrying out an analysis of a mineral called zinc blende (sphalerite) to isolate the recently discovered thallium. Although he found some yellow precipitate and assumed it be thallium sulfide, his atomic spectroscope displayed some other lines. Since he was colorblind, Richter studied the spectroscopy results and witnessed a brilliant violet line. 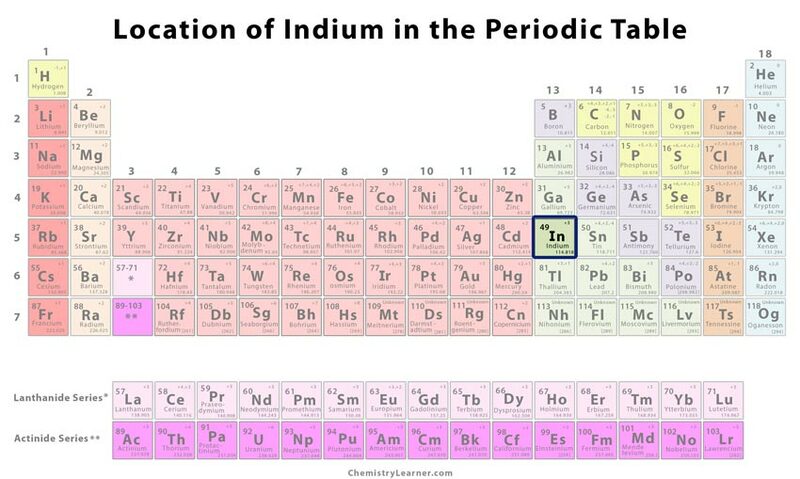 Again Reich and Richter worked together to obtain a small sample of the new element, named later as indium, and announced their discovery. However, both had a row and an eventual fall out when Richter went to Paris and claimed to be the discoverer . Ball bearings of high-speed motors in racing cars are coated with indium to allow uniform distribution of lubricating oil and reduce friction . It is used to provide an anti-tarnishing mirror coating to windows of tall buildings, and as a protective film on welder’s goggles . Indium is used to make low-melting alloys for warehouses and fire-sprinkler systems . It is doped with germanium to make transistors . 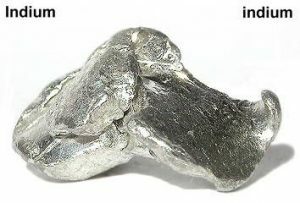 Indium-111 can be used in radioimmunoscintigraphy for the treatment of prostate cancer as well as abscesses in the bones . 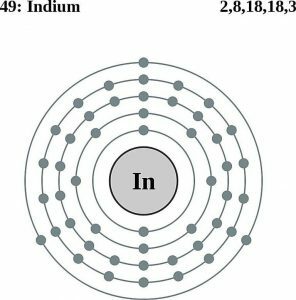 Based on some animal studies, long-term ingestion of small amount of indium compounds can have severe carcinogenic effects . 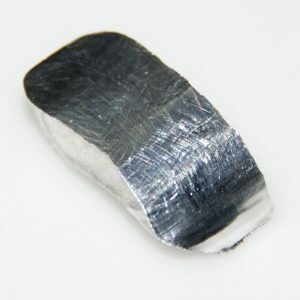 When indium is bent, it produces a high-pitched crackling sound as a result of crystal twinning . 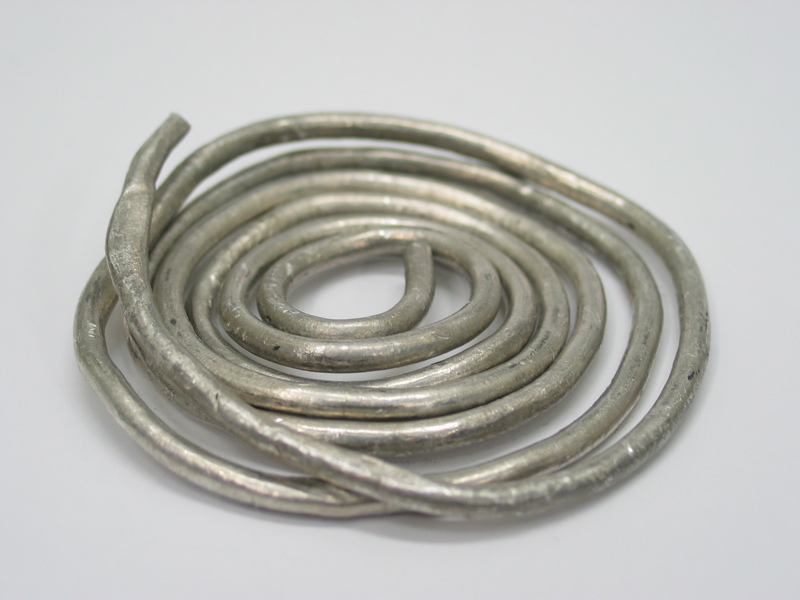 The price of the metal varies between $190 and $230 per kg.